Uber Eats integration, Discount Rules, Multiple Kitchen KOTs and more. Here’s a roundup of the new features we have rolled out to SlickPOS this November. If you don’t see these features in your account, follow these instructions to get the updates. 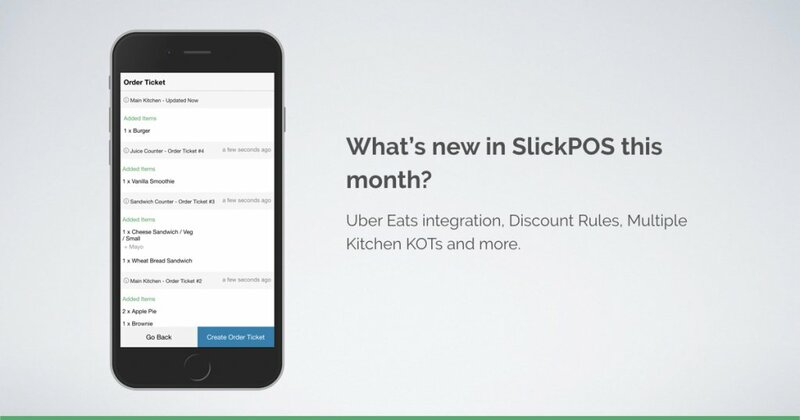 If you run SlickPOS on mobile or tablet, you can get the updates from Play or App Store. If you are new to SlickPOS, signup now and get SlickPOS for free. While we already had integrations with Swiggy, Zomato and Foodpanda, we have added Uber Eats as well now. Get orders relayed to your POS and manage item availability across food aggregators right from your POS. We also provide rider status updates for Zomato and Swiggy orders. Now you can create condition based discount rules like “Happy Hours”, “10% off on purchase above 1000”, etc. Discount rules can either be automatically applied or used as a coupon code that’s sent to customer and entered while completing the order. It’s common for certain restaurants to have multiple kitchens like a main kitchen and a sandwich counter. SlickPOS now allows you to assign a category of products to a particular Order Ticket (KOT) group and the KOTs are generated accordingly. With SlickPOS Mobile and Desktop, you can also wirelessly print the KOTs to the kitchen. SlickPOS now allows to split payment between multiple payment types. For example, a payment of 500 can be split as 200 cash and 300 by card. You can also use the custom payment types that’s available since the last SlickPOS update. We have added an Order Ticket (KOT) report that highlights item removals and order cancellations after generating the KOT. You can monitor the KOT report catch unusual KOT cancellations which is usually and indication of employee fraud. Features like product variants, addons, product level order ticket notes and custom payments are now available in SlickPOS mobile. 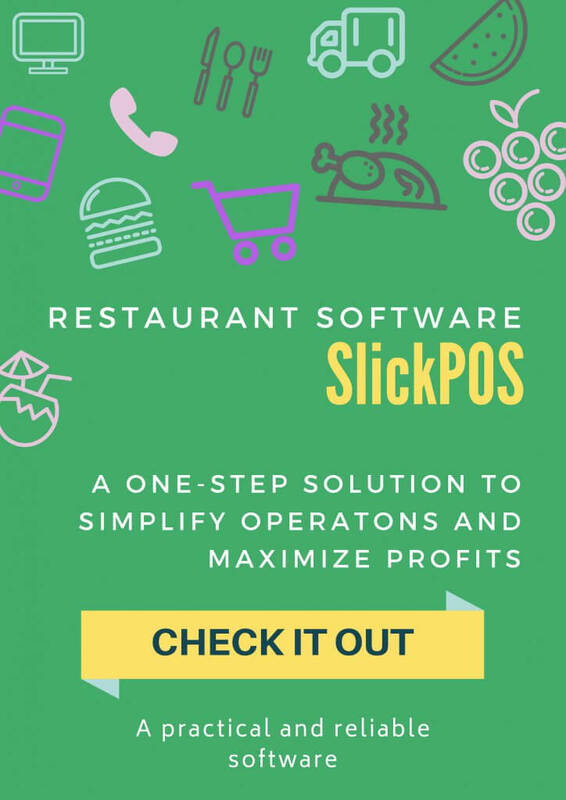 If you run a franchise, you can add the SlickPOS accounts of the franchised outlets as sub-accounts and get detailed reports of how each store performs in your SlickPOS Analytics app. We hope that you liked our updates, do send us a message if you have any suggestions or if you would like to see a demo. See you again next month with another round of updates!